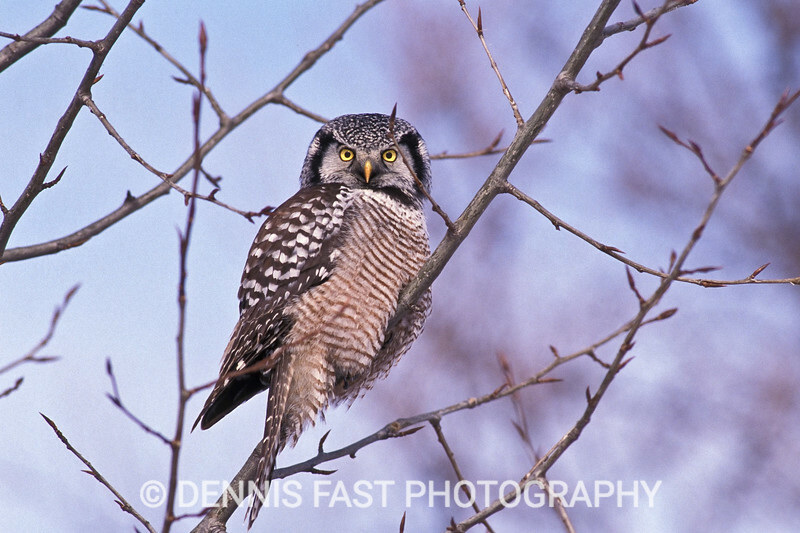 The Northern Hawk-Owl is one of the most fearless and aggressive raptors we have. I once had one take a mouse off my head! When they are hungry, every vole in its territory should be on the look-out.